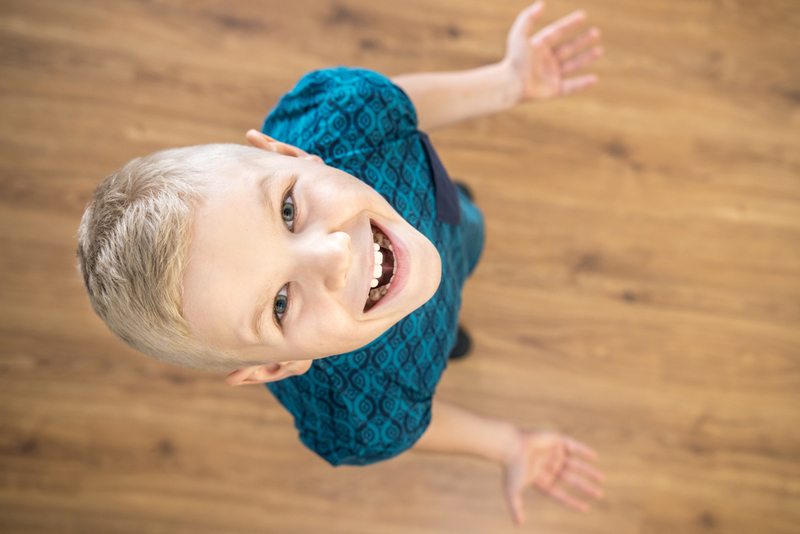 Lakewood orthodontic treatment can help your child boost his self-confidence with the power of a straight, healthy smile. In a recent study published in the American Journal of Orthodontics, they showed how dental crowding and poor dental aesthetics is directly related to a decrease in an individual’s quality of life. In today’s competitive world, you want to empower your child with everything you can to feel confident about themselves. Developing a healthy self esteem is a more challenging process for some. Ease some of the difficulty by eliminating one of the factors that can impact it. Correcting smiles today can be done quickly, comfortably, with color and expression or with quiet subtly. Learn about your options and how you can help your child feel confident about sharing her smile more readily. When your child is proud of his/her smile it affects how they use it. Research has shown that children who are not happy with the appearance of their teeth will avoid smiling with their teeth and may even withdraw from their peers. Often, they will hold back from speaking because of feeling self conscious about crooked teeth. Orthodontics gives your child self-confidence that may be lacking from not feeling comfortable with his smile. In this competitive world, we want to give children every chance they can to succeed. Lakewood orthodontic treatment aids in both physical and mental health. While we have discussed many of the cosmetic benefits of Lakewood orthodontic treatment, it is not the main reason why orthodontic treatment is advised. Orthodontic treatment is necessary for oral wellness. Misaligned teeth can lead to challenging health problems that impact chewing, swallowing, nutrition, and speech. Misaligned teeth also expose you to more risk for tooth decay, TMJ jaw-pain and chronic headaches from malocclusion. If you, or your child, are concerned about the options for braces today consider the amazing technological advances that we can afford you at Belmar Orthodontics. Advancements have transformed available orthodontic technology and treatments resulting in more patient-friendly, discreet and effective bracket systems. Braces are smaller, smoother, more efficiently adhered, healthier for the gums, and (some options) nearly invisible. Clear braces are fabricated to match your tooth’s natural color and have really made adult treatment more appealing. Newer still, is Invisalign, a system to move teeth without any braces. The archwires that straighten teeth today are not only more comfortable to wear, they also require less energy levels over longer periods of time. Some orthodontic wires even use the temperature of your mouth to activate tooth movement. These advancements in technology translate into more comfort for you, less time in an office chair, and quicker, lasting results. If you are considering Lakewood orthodontic treatment, but aren’t sure if you need it, call for a consultation today. We can evaluate your need for orthodontics as well as discuss your options for orthodontics today. Life with braces brings exciting changes, and sometimes some challenging adjustments too, but the end result is a healthier you! Belmar Orthodontics can help you obtain a healthy, functional, attractive smile. If you think you need braces, our online patient education can help answer any questions you may have, and our friendly staff is always available to help. Call 303.225.9016 today to learn more about braces or to schedule an appointment. Dr. Hardy is committed to your care and will help you reach your smile goals as quickly and efficiently as possible if you need braces.